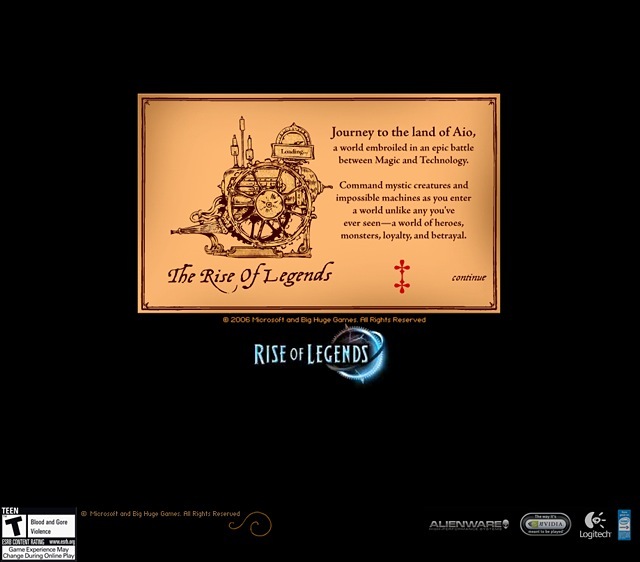 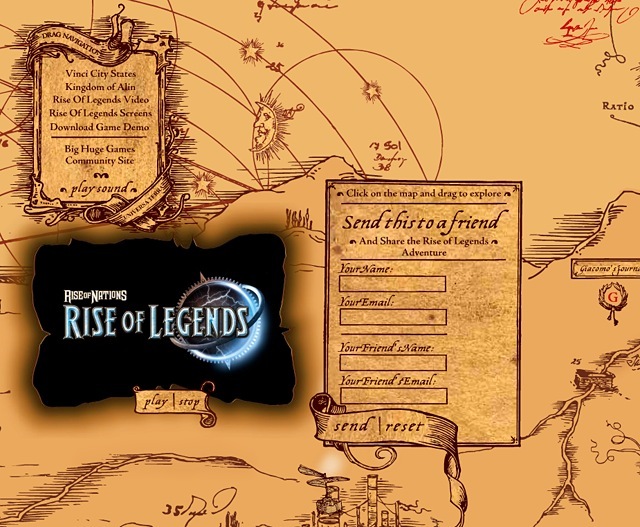 Rise of Legends is a rich and textured Windows Vista gaming experience, challenging the player to lead vast armies into battle to ultimately build an empire spanning the globe. 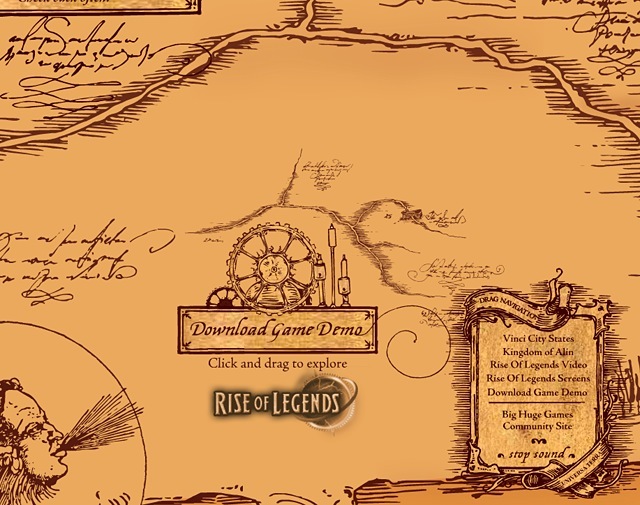 Microsoft�s PC Games group asked us to create a game site that captures the feel of the game and conveys the depth of the gaming experience. 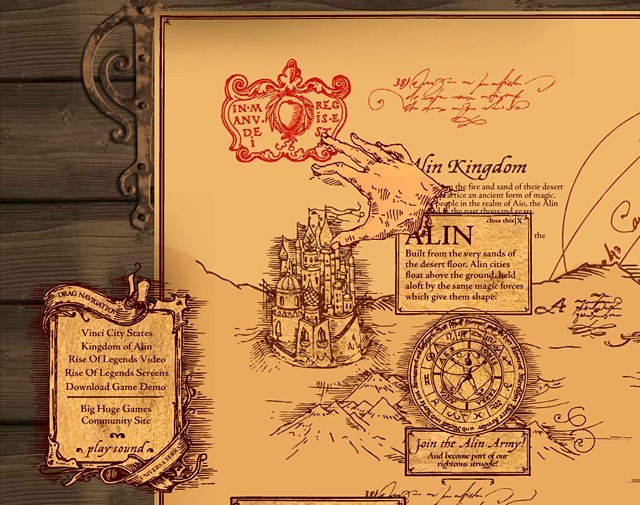 We created custom illustrations in the renaissance style to support a rich, interactive experience. 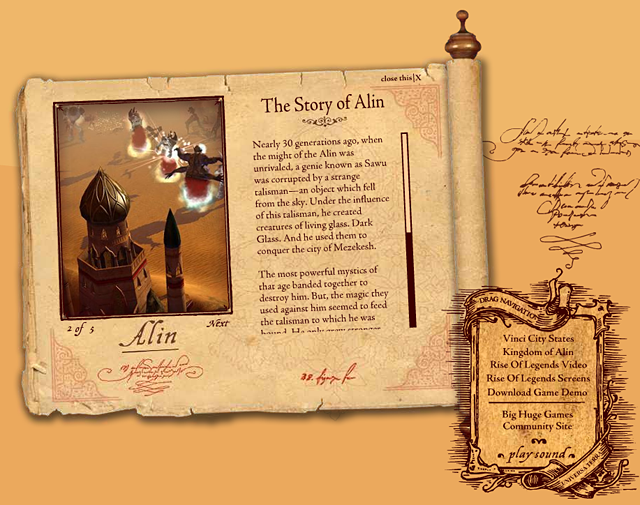 We built an xml-driven Flash site that is easy to update with new content while still capturing the rich qualities of the game. 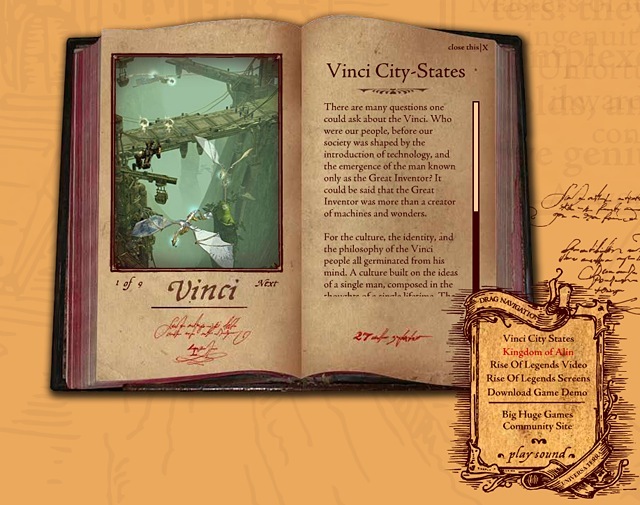 The resulting website presents a unique user experience and navigational structure, while introducing them to the excitement of the game in a visually compelling way.